That was fast. Sprint’s announcement and launch of the HTC EVO 4G felt like it was only yesterday, but the company’s second 4G device is finally out of the wraps: the Samsung Epic 4G. I had reported on Sprint’s plans to launch another 4G device “soon,” but I didn’t have any further details at that time. Fortunately, we now know that the phone is a variant of the Samsung Galaxy S, which we previewed at CTIA earlier this year. While we knew Samsung intended to launch the Galaxy S overseas and in the US, the addition of 4G comes as a major surprise. While it’s still a step down in some regards from the EVO 4G, it does sport a better-looking Super AMOLED display and physical keyboard. Most of the hardware specifications speak for themselves as the Epic 4G is a strong emerging competitor. However, it’s important to note that the hostspot feature handles 3 fewer connections than the EVO 4G. It also sports a front-facing VGA camera like the Apple iPhone 4, both of which are a notch under the EVO’s 1.3 megapixel camera. When it comes down to it, the physical keyboard likely distinguishes the Epic 4G from the EVO more than anything else. But it will be interesting to see whether customers still prefer the waste of space for a physical keyboard especially when new technologies such as Swype are taking off. With Apple’s new revolutionary “Retina Display” setting the standards, it’s also great to see Super AMOLED, a competing technology, featured on the Epic 4G. Verizon Wireless also announced the Samsung Galaxy S as the Samsung Fascinate and while it’s very similar, there are a few notable differences. The Fascinate lacks 4G support, a front-facing camera, and a keyboard. Hence, features such as video chat will also be unavailable. On the bright side, the Fascinate features an extra 1 GB of internal storage over the Epic 4G. And as always, Verizon Wireless plans to re-brand the operating system with V Cast music, V Cast video, and VZ Navigator. T-Mobile got in on the action as well. Their Samsung Galaxy iteration is named the Samsung Vibrant. While it also lacks 4G like the Verizon Fascinate, it features T-Mobile’s HSPA+ network. In terms of hardware, the Vibrant, much like the Fascinate, lacks the front-facing camera and physical keyboard that the Epic 4G offers. Humorously, T-Mobile’s press release rather focuses on add-on features such as a pre-downloaded copy of Avatar on the memory card, a pre-installed Amazon Kindle for Android app, and MobiTV streaming. T-Mobile was interestingly the only carrier that announced the July 21st availability date. Unfortunately, pricing isn’t yet available. The Galaxy S was a great looking phone and while I haven’t tried Sprint’s iteration, the Epic 4G, I’ve got high hopes. While Sprint hasn’t made pricing or availability available yet, I’ll definitely try to get the full scoop and our hands-on this phone as soon as we can. In the meantime, follow us on Twitter or like us on Facebook to stay tuned with the latest coverage. There is nothing “revolutionary” about the “retina” display. Its the same LCD technology but with subpixels. Thats it. If you want to talk about “revolutionary”, its the Super AMOLED that should be labeled “revolutionary”. It uses an entirely new method of creating a screen. The use of a backlight and color filter is no longer needed. Organic materials(carbon based substances) “glow” when electricity is introduced creating vibrant colors and extreme contrast ratios with minimal battery power consumption. Please, dont go off yapping away like a parrot with Apple marketing machine when you dont really know what you are talking about. If you havent noticed, Apple LOVES to use adjectives to subconsciously inject those very words in peoples minds. Wakek up. ^ All that was from ONE, ONE keynote address. Peter, you do realize this isn’t live chat right? Before YOU “yapp” on expecting a reply in 3 minutes. Let me explain something to you. I do my best to ensure un-bias gets published. Meaning we don’t lean to one side or another for no reason. We also ensure that our opinion pieces are honest and they are. But here’s what happens: People love to complain. I was told that my Infographic of EVO 4G vs. iPhone vs. Droid X was in favor of Android devices. I was then told that my speed test comparing the same three phones was unfairly promoting Apple. I owned an iPhone 3GS from when it launched in ’09 until last month. I sold it and bought a HTC EVO 4G. Why? I believe it’s a better device. Better than the iPhone 4? In many ways, yes. But here’s my problem with your idocracy. If you can find me a popular smartphone available today with a higher resolution than the iPhone 4, let me know. While I’m not a fan of everything Apple does, I recognize that their display simply rocks. Does Super AMOLED rock? Yes! 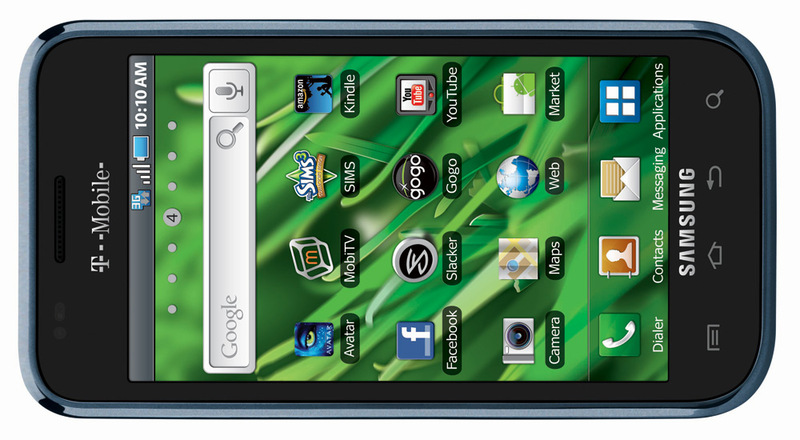 I have a Samsung Wave here and it looks gorgeous. But it doesn’t compare to the resolution or PPI that the iPhone 4 features. Super AMOLED has plenty of advantages as you mentioned: it saves power and looks amazing out doors. And that’s why I said it’s awesome to see that Samsung is outfitting their own Super AMOLED screens onto their next generation devices. There’s nothing more too it. No conspiracy. Get over it. So I guess you admit that labeling the “retina” display as “revolutionary” was slightly exaggerating? Where do u get this information? I really didn’t know LG is going to produce Super AMOLED next year. I think there is nothing special about retina display.LG and Apple just joined hands to stave off Samsung huge influence in AMOLED display. I don’t have information about LG and Apple, but I do know that Super AMOLED displays are in major shortage. Too much demand, too slow to produce. But Samsung is in luck since they make their own. Their priority is of course, their devices. If there is a bottleneck, Samsung won’t be affected as much. Whats funny is that Super AMOLED is a trademark for Samsung. So no, LG wont be producing Super AMOLED. It is an exclusive Samsung technology. If you had said LG was producing AMOLED in the future, then yes I would’ve believed you. However, Samsung currently holds a 98% market share in the AMOLED market. AU will be producing AMOLED panels at the start of next year too. As Peter said, I don’t think LG and runner-up AU can produce SUPER AMOLED displays unless Samsung licenses it.I believe Samsung would license it since it smartphones sales reach its target.So,practically,to lay your hand on non-Samsung smartphones with SUPER AMOLED displays,buy Samsung smartphones.It seems a bit crazy though. Technically,I don’t see other display makers likes LG,Toshiba and Sharp overtaking Samsung in display market.Samsung simply invested too much in it and it would still be the King. I don’t know about the default keyboard that ships with the Epic 4G, but it does have a physical keyboard. So I’m guessing most people won’t be using a virtual keyboard anyways. 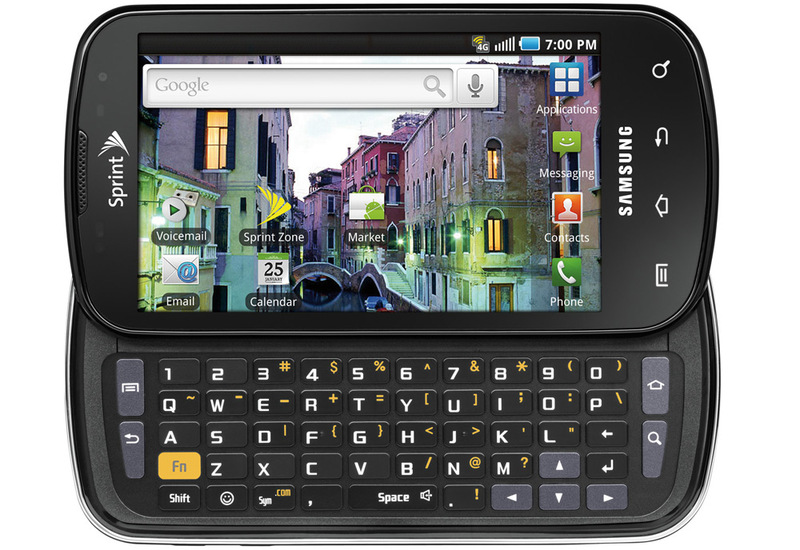 But in regards to multi-touch, the Droid X ships with both Swype and a MultiTouch keyboard out of the box. The EVO doesn’t have one by default, but you can download one for it. So, if the Epic 4G doesn’t have one by default, it isn’t difficult to find a quick App to replace it.